Rosacea affects 16 million Americans. In most cases, this chronic skin condition starts as patches of facial redness in the middle of your face before spreading to your chin and forehead. You can also have rosacea on your ears, chest, or back. 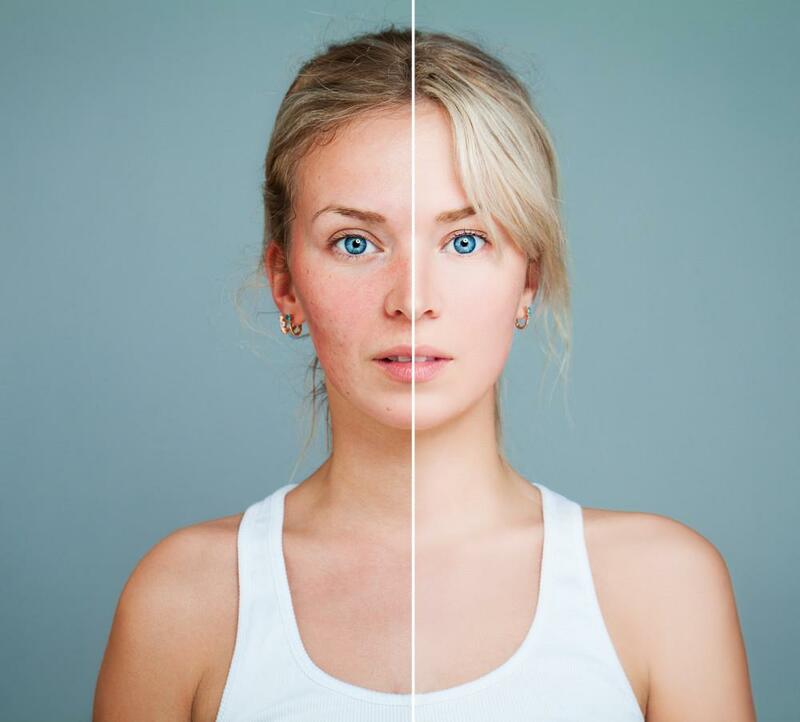 When you have rosacea, these symptoms can affect your self-confidence and cause frustration, embarrassment, and emotional problems like depression and anxiety. The month of April is Rosacea Awareness Month to help increase public understanding and acceptance of this unique condition. At Easton Dermatology Associates in Salisbury, Maryland, Dr. Michael Del Torto, Dr. Donald Stranahan, Jr., and our team can help you control your rosacea symptoms and prevent flare-ups. When you have rosacea, you may notice that your symptoms improve for short periods before growing worse for weeks or months at a time. The easiest way of preventing rosacea flare-ups is avoiding your known triggers. We can help you identify specific things that aggravate your symptoms and provide strategies for avoiding them in the future. These might include dietary changes, like avoiding hot beverages or alcohol. When you have skin that’s prone to rosacea flare-ups, it’s important to care for it properly. We can recommend gentle skin care products, cleansers, and cosmetics that can help repair your skin, keep it moisturized, and ease your rosacea symptoms. You should also protect your skin from sun exposure by using a broad-spectrum sunscreen and shield it from the wind and extreme temperatures. In addition to avoiding triggers and making the right skin care choices, we might also recommend prescription medications to control specific rosacea issues. These therapies can address a wide range of rosacea symptoms, include acne-like lesions, inflammation, and redness. At Easton Dermatology Associates, our team also relies on laser treatments to manage rosacea flare-ups. Our state-of-the-art Icon™ Aesthetic System delivers pulses of therapeutic light into unwanted blood vessels to minimize the appearance of redness, spider veins, and dilated capillaries. It also activates collagen production in the treatment area, which can help reduce flushing and skin discoloration. For help developing a personalized approach that prevents your rosacea flare-ups, call Easton Dermatology Associates or schedule an appointment online today at our Easton or Salisbury locations.